Spend 3 nights tracking Africa's Big 5 at the Phinda Game Reserve, followed by 4 nights of exploring some of South Africa's most beautiful and pristine coastline in KwaZulu Natal. From Durban, collect your rental car and drive to the world famous Phinda Game Reserve, for the start of your KwaZulu Natal safari. Comprising an impressive 23 000 hectares of prime wilderness land, Phinda Game Reserve is home to a wide variety of wildlife, including Africa's Big-5 (lion, leopard, elephant, buffalo and rhino), endangered black rhino, and around 415 bird species. This is a conservation marvel as this land has been reclaimed from farmland. On your KwaZulu Natal safari catch a glimpse of the reclusive suni antelope or the gracious nyala. Track the movements of the endangered rhino and observe the fascinating African elephant, as herds of these majestic gentle giants meander through the African bush. 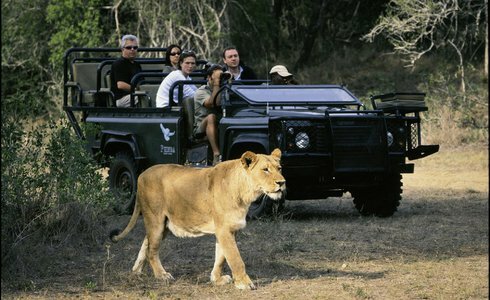 After Your KwaZulu Natal safari, you will drive to your lodge situated in the Elephant Coast. The pristine Elephant Coast comprises tranquil swimming bays, shimmering lakes, coastal forests and clear warm waters, which offers some of the best snorkelling and scuba diving in South Africa and exciting encounters with huge shoals of fish, dolphins and whales. During the months of October to January you will have the opportunity to see Loggerhead and Leatherback turtles laying their eggs, and the hatchlings appearing in February. Expect to relax and soak up the sun here, waters are warm and the temperature very pleasant. 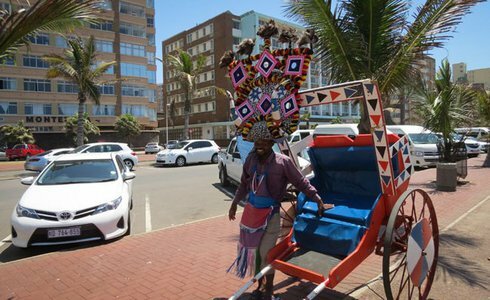 After eight days of rest and relaxation, you return to Durban for the end of your KwaZulu holiday. Please note: this is a year round travel itinerary and also available during the winter months of South Africa (March to October) when the rest of the country is experiencing cold.